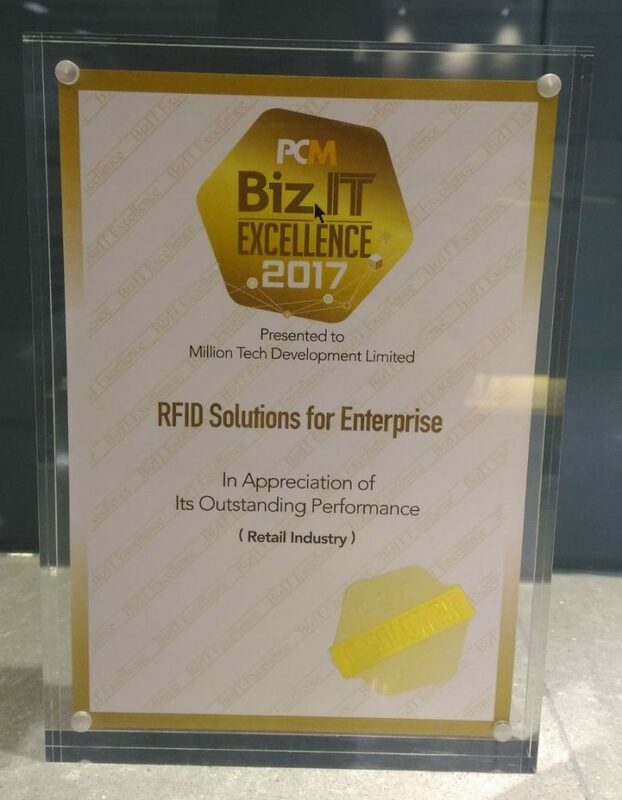 On 26th Sep, 2017, Million Tech is pleased to be awarded as The 9th PCM Biz.IT Excellence Award 2017 – “RFID Solution for Enterprise – Smart Sample Room Management System” (Million Tech RFID 智能樣辦庫存管理方案) by Hong Kong top tier IT Magazine – PC Market. Million Tech notices the need of those who manage Sample Room themselves, and thus develops a set of cloud-based RFID Sample Room Management System, to solve the difficulty of searching certain Sample from messy environment, and to perform stock-taking more frequently. The SSR solution is an Easy-to-Use and Self-served Sample Management System. The adoption of cloud server and well match of using RFID Handheld Terminal makes better user experience and higher working efficiency of managing sample items. We have rich industry experience of using RFID technology for providing cost-effective IT solution to streamline the operation and to reduce costs, and have strong customers reference such as Government departments, International Retail shops, and public affairs. 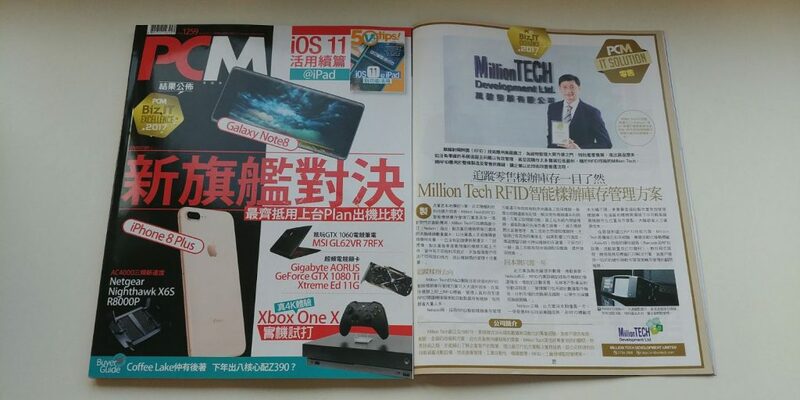 With 30-year industry experience, Million Tech has reached 100% project completion rate that is the reason of being trusted by our customers. As a market leader in the industry, we strive for excellence to apply updated technology (i.e. robotics, face/ object recognition) together with our tailor-made solutions and service maintenance that helping our customers in different ways to improve operation efficiency.